1986 Festival of American Folklife, Cultural Conservation program (FAF1986_0265). Photo by Daphne Shuttleworth. Courtesy of the Ralph Rinzler Folklife Archives and Collections, Smithsonian Institution. 1986 Festival of American Folklife, Cultural Conservation program (FAF1986_0690). Photo by Hrabak. Courtesy of the Ralph Rinzler Folklife Archives and Collections, Smithsonian Institution. 1986 Festival of American Folklife, Cultural Conservation program (FAF1986_0697). 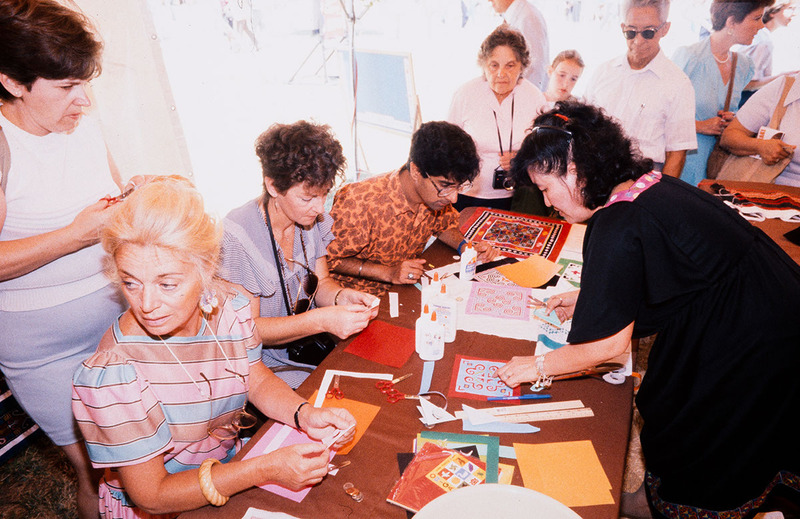 1986 Festival of American Folklife, Cultural Conservation program (FAF1986_0829). 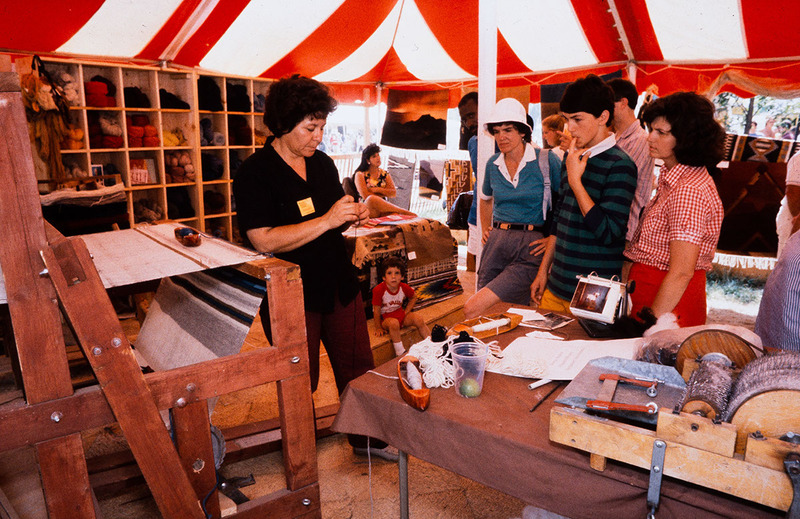 1986 Festival of American Folklife, Cultural Conservation program (FAF1986_0830). 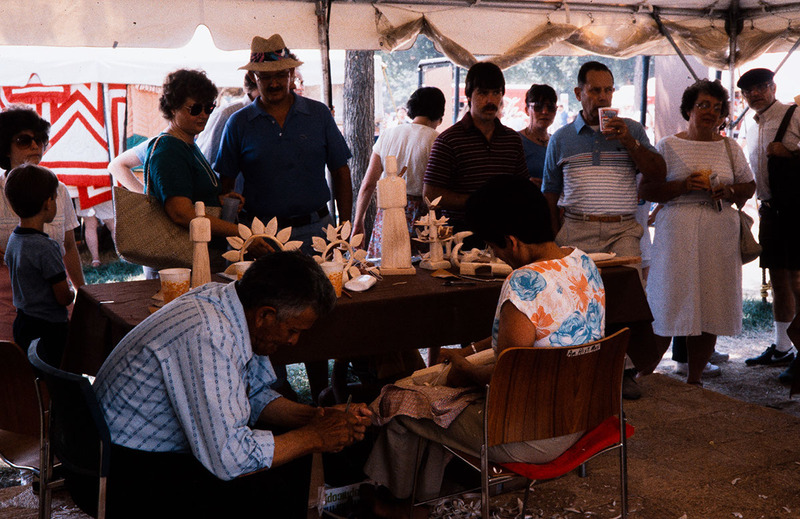 1986 Festival of American Folklife, Cultural Conservation program (FAF1986_0853). 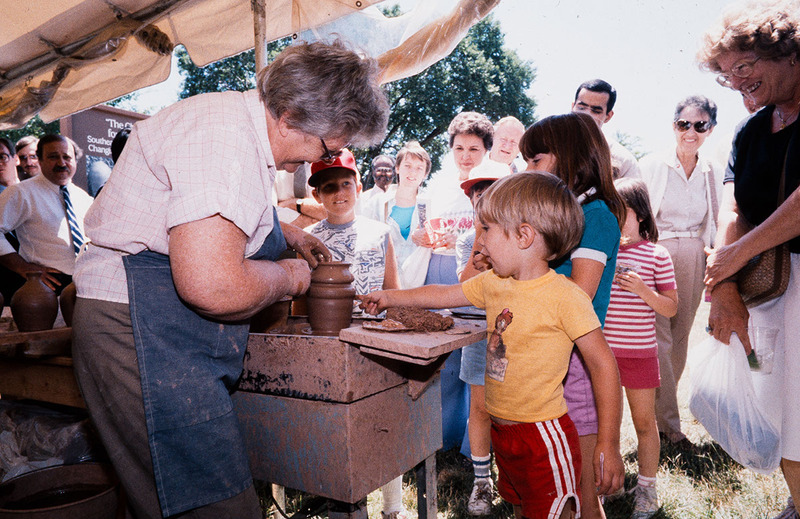 Second in a series, the 1986 Cultural Conservation program presented a variety of craftspeople who singly and together define what is traditional about their crafts, how these are practiced in our country today, and why they are worth preserving for the future. 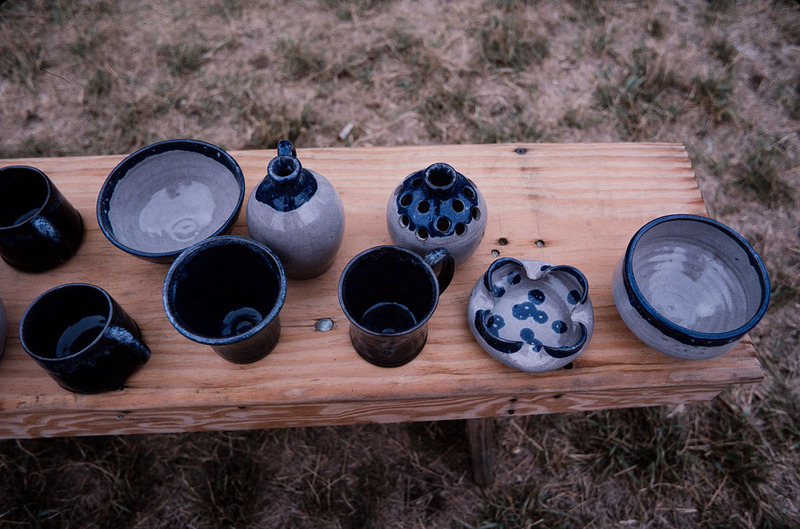 These crafts, in a sense, record the resonances between a craftsperson's skill and the aesthetics of a particular tradition. Traditional crafts also record the craftsperson's use of the local environment and his or her negotiation with a sometimes changing market. It is these layerings of meaning and tone that define the communal base of folk crafts, and Festival visitors were able to interact directly with the featured craft presenters and to listen in on comparative workshops addressing shared challenges. Craft presentations including African American quilting, Cherokee basket making, Hispanic weavers and woodcarvers, Hmong needle workers, rag rug weavers, southern potters, split-oak basket makers, stone carvers, and Zuni maiden makers and potters. Marjorie Hunt served as Cultural Conservation Program Curator, and Ann Dancy as Assistant Program Coordinator. An Advisory Board included Charles Briggs, Charley Camp, Henry Glassie, Bess Lomax Hawes, Alan Jabbour, Suzi Jones, Ralph Rinzler, William Sturtevant, Robert Teske, John Vlach. 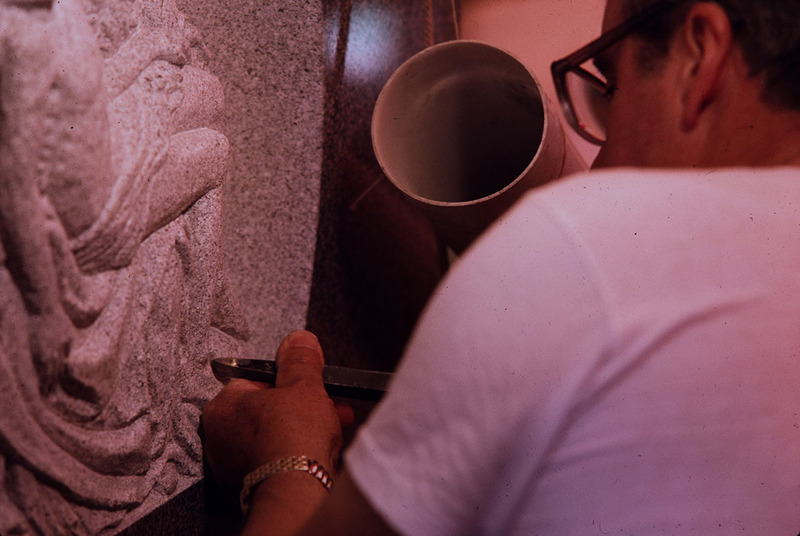 Cultural Conservation: Traditional Crafts in a Post-Industrial Age was made possible in part by the generous support of the Laborers' International Union of North America and the National Italian- American Foundation, in memory of Andrew E. Bernasconi.